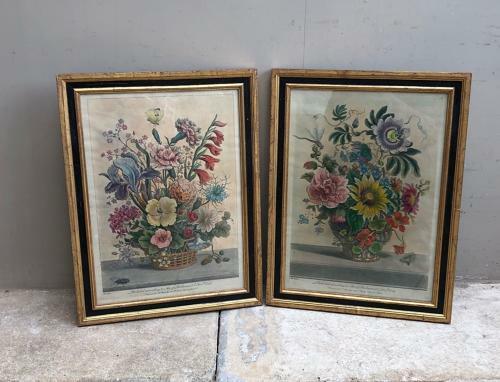 Really lovely pair of 18th Century hand coloured floral engravings dated 1755. Fantastic detail and the colours are bright and vibrant...so decorative. Later frames and as I purchased them.